Cheetah Print Tattoos. The cheetah is the fastest animal on land, and it can reach speeds of up to 110 kilometers per hour when in full flight. Any driver knows just how fast this is, and so this makes the cheetah a very amazing animal. Besides from its speed this animal is also known for other unique attributes like the beauty of the prints on its body. The cheetah has gorgeous prints on its body and the early years it used to be hunted for its beautiful skin. The over-hunting led to massive reduction in the population of this animal and it even got extinct in some places and it can now almost solely be found (in the wild) in Africa. As the need to conserve this animal caught on people began to imitate its beautiful prints on garments, footwear, and handbags. The popularity of the prints continued to grow, and soon people were having them inked on them so that they can have the beauty of the prints permanently. At first the prints came in simple designs but over the years different variations of the cheetah print tattoos have come up. 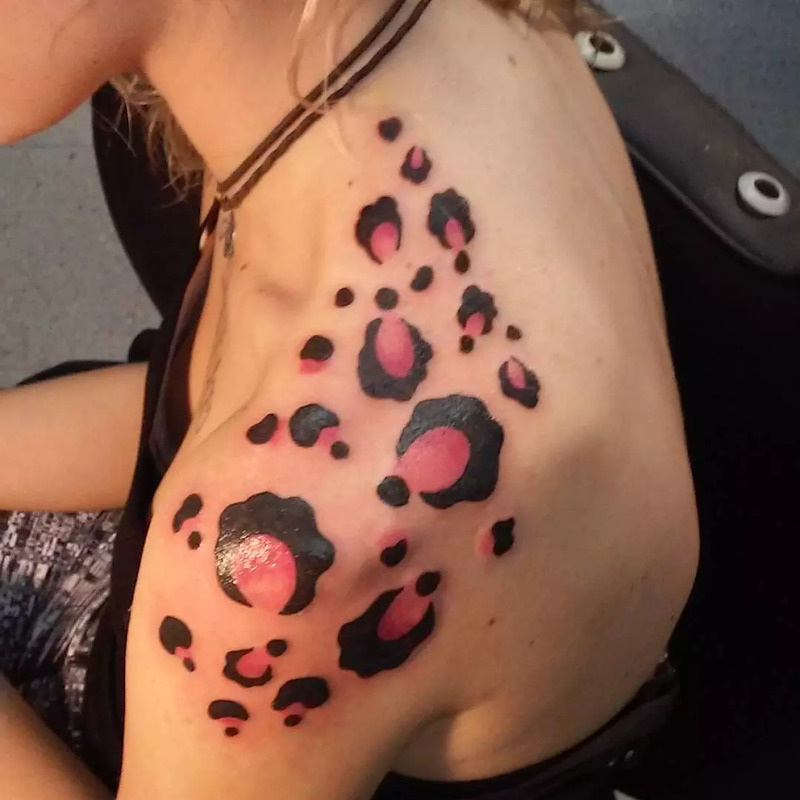 When cheetah print tattoos are drawn alone they are not thought to have special meaning but when combined with another tattoo they can bring out a symbolic meaning. However, this is not to say that you cannot have one inked on you to portray something. Like any other type of tattoo, it can mean almost anything that you as the wearer would want it to mean. 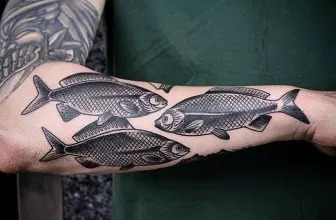 There are also some general meaning that these tattoos are thought to carry, and so it is important to understand them before getting your tattoo. One such meaning is the support for wildlife conservation. In the last century alone more animals have gone extinct, and the population of many animals reduced to historic lows. The only way to save these animals is through conservation. In conserving the animals left on the planet, each human being has a role to play and to show that you support this course you can have the cheetah print tattoo inked on you. A cheetah is known for its speed, and so you can use these tattoos to show that you envy its speed, or you are also fast in your own way. If you are an athlete or you, participate in any other activity that requires speed then this type of tattoo would have a more symbolic meaning to you. With the prints inked on your hands or any other more visible place, they can act as your inspiration every time you are running. By looking at the prints, you will be inspired to move as fast as a cheetah. For some people, these prints can be used to keep a memory of their Safari to Africa. A cheetah is one of the animals that you are likely to see if you are touring Africa (especially the East African Countries). A Safari to Africa is a once in a lifetime experience for most people and so to preserve these memories for eternity you can get the cheetah print tattoo. The shoulder is an ideal place to have your prints, but the idea would be to have them on one shoulder. You can draw the tattoo stretching from the back side of your shoulder all the way to the front side. If you also wish to have the tattoo on both shoulders, you can have matching ones. The thigh is a good tattoo placement area especially for ladies. For this symbol to look good on your thigh, you should have a big one that covers most of the thigh and also try to use more colors. If you chose to have this tattoo on the arm you should have it drawn as a half or complete sleeve tattoo. Although it can still look good when drawn as a small arms tattoo it will look even more fabulous as a sleeve. 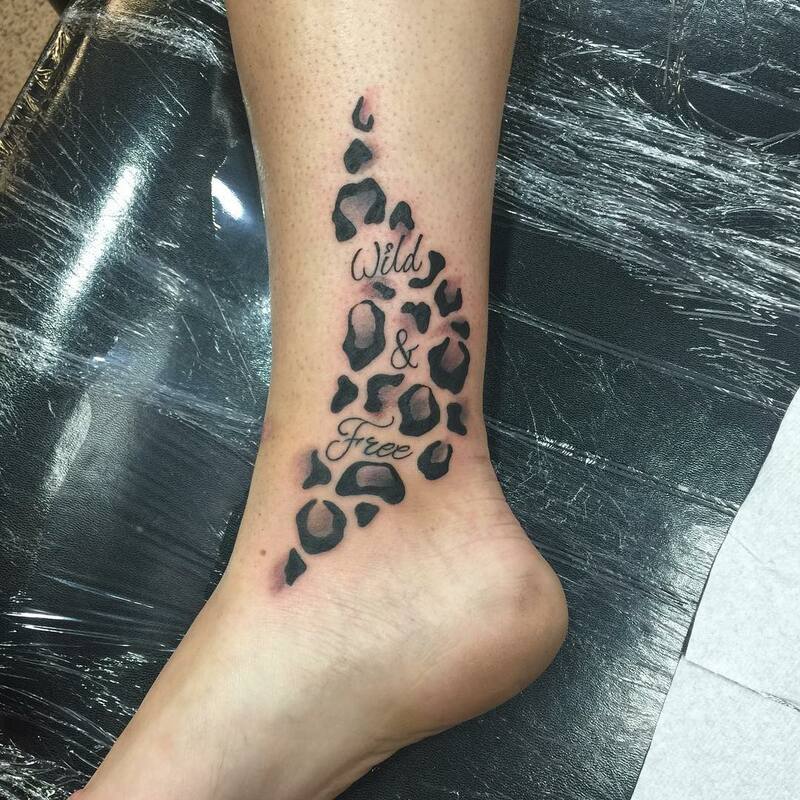 The legs are some of the most pain full areas to have tattooed but if you can take some pain then this is good placement area for your cheetah prints. These prints will also look fabulous when drawn around your ankle in a chain-like pattern. You can also add a small flower to complete the look. 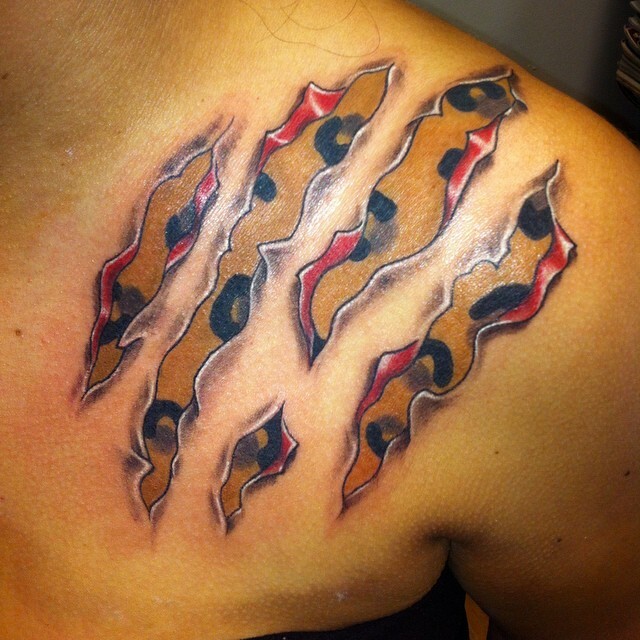 This is a tattoo of cheetah claws that with the cheetah prints. 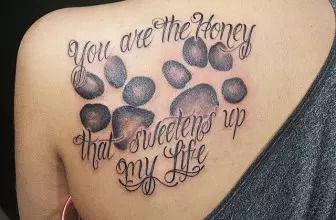 It is a good tattoo for all anyone who loves cheetahs as it is all about them starting from the image itself to the prints that complement it. The heart always makes a perfect tattoo image and so is you add the prints to this image you have yourself an exquisite tattoo image. If you love ribbon tattoos then this would be a perfect tattoo for you. 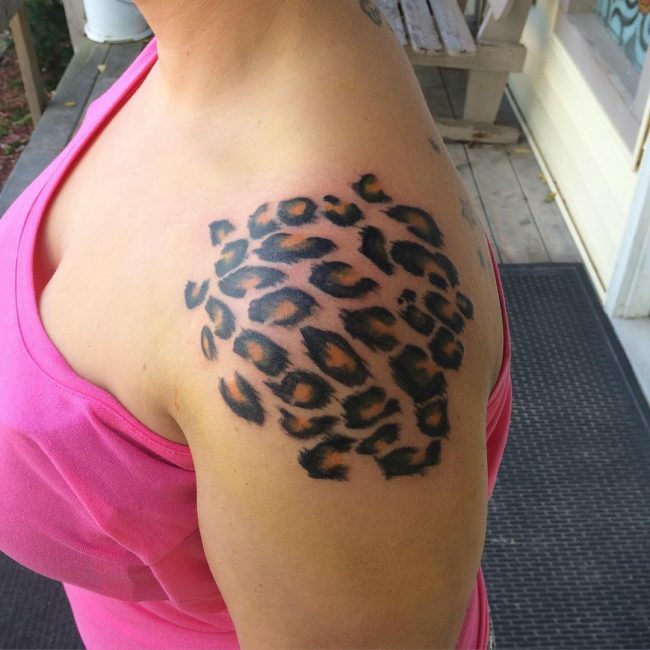 The tattoo looks like any other ribbon tattoo folded in a bow, but the only difference is that the ribbon is made in a cheetah print pattern. Butterfly tattoos are mostly drawn in multiple colors so as to bring out their beauty. To make your butterfly not only more beautiful but also unique, you can have it in cheetah print design. 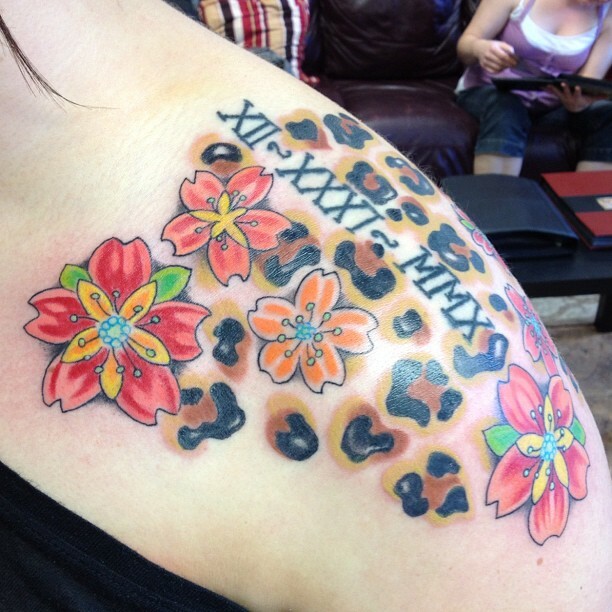 This tattoo brings together the beautiful lily flower and the cheetah print to create an image with a beauty that can only be matched by few other tattoo designs. However, it has a more feminine look and so it is more suited for ladies. This incredible print tattoo takes creativity to a whole new level and anybody who sees it for the first time is left with a smile. 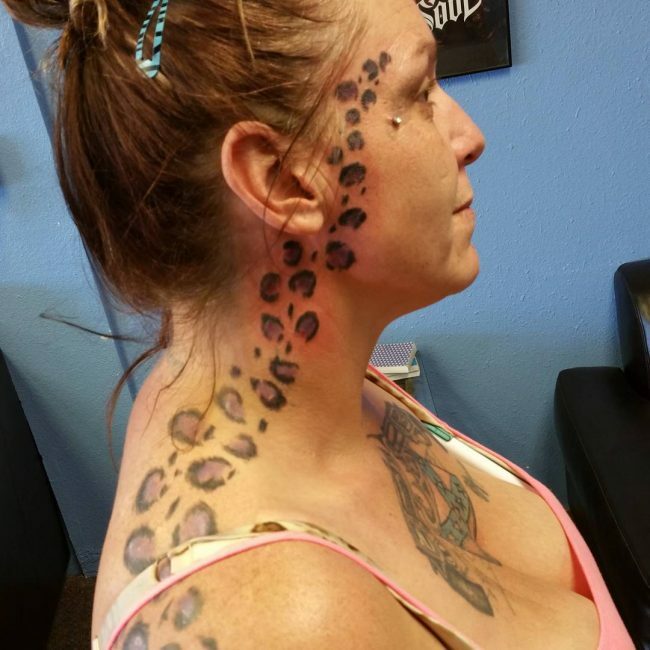 The tattoo looks like a patch of a cheetah’s skin stitched onto the tattoo wearers skin. With the services of a good tattoo artist, this image can look very realistic, and it’s a good piece to show off. The main characteristic of this type of tattoo is color. 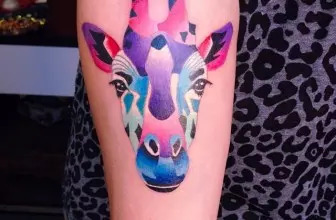 This tattoo is drawn in girly colors, but it is a very unisex type of tattoo.